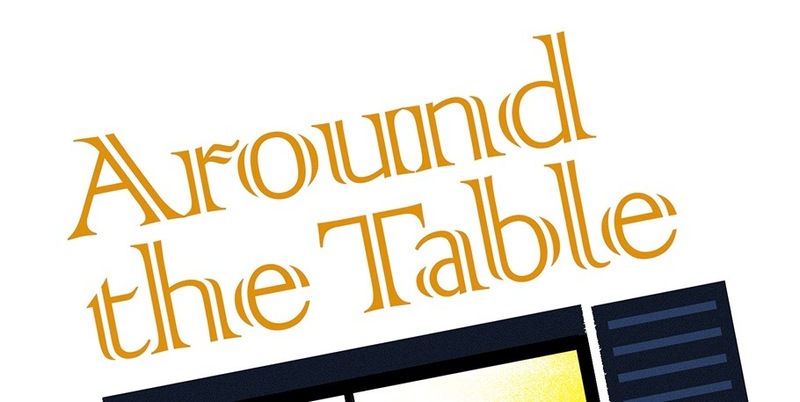 Around the Table Book: Take It Out! In the city of Lima, Peru, there's a light house with a green grass park around it. Lighthouses are fascinating and spark the imagination. And a park with nice grass, that was a rare find in Lima in the 80s. So we often took our supper down there to enjoy looking at the ocean, run around the park, chase each other around the light house, watch ships sailing by, and have a family meal together. When the weather is warm and the kids are off school is a great time to do something special for family meals. And there are all kinds of great ideas. Here are seven ways to "Take it Out". 1. Carry Out -- That's what we did in the lighthouse park. I made some simple one dish meal that we could easily eat while sitting on a blanket along with tangerines or carrot sticks, sippy cups for drinks, and cookies for dessert. Any park will do, from the city park around the corner to the park by the lake an hour away. Bring some balls or frisbees or Bocce Balls (our family favorite) and enjoy the time together. As long as you are away from home, you are going to have enforced togetherness. 2. Grill Out -- Whether you have a hibachi or built in gas grill, and if you eat shrimp and steak or hot dogs, cooking and eating outside give you a chance to hear the birds sing, kids playing, a car driving past with bass booming, and, of course, someone mowing their lawn nearby. Something special after dinner (iced coffee drinks?) keeps everyone lingering longer to enjoy the outdoors. 3. Grill Further Out -- Take it further from home to a nearby park where grilling is allowed. 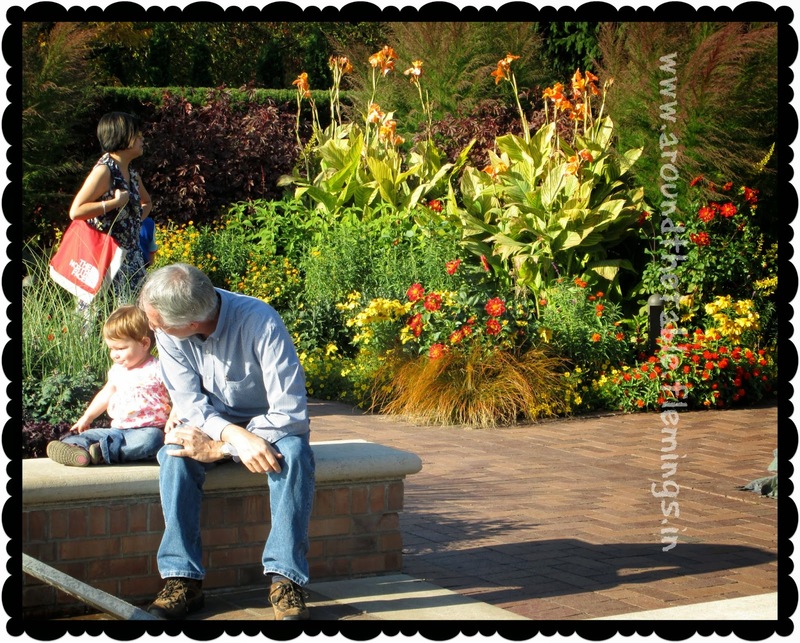 We have a great park in our town overlooking a lock and dam in the Mississippi River where we've enjoyed some wonderful family times. "Remember the time the "ladder balls" got stuck in the tree? The game of getting them down was as much fun as the original game!" Perhaps there are trails to walk along in a park near you. And a kids outdoor scavenger hunt is always a great diversion! 4. "Move" Out -- Do you have a "video" projector? 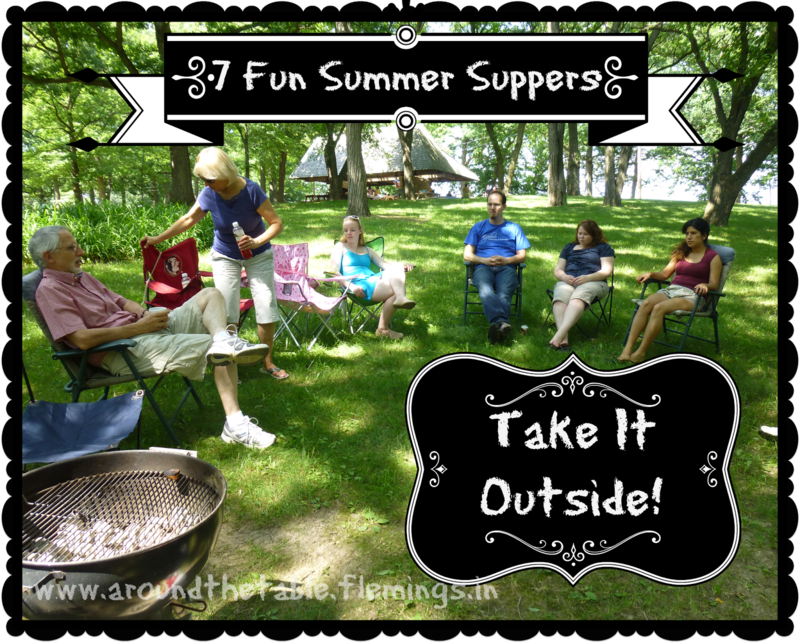 Take it outside and show a dinner movie on the side of your house, a sheet, or even an outdoor screen. Invite friends and neighbors for extra fun! Another variation of this is a drive in movie, if you still have one in your part of the world. 5. Concert Out -- In our town there are two parks with free concerts where you are encouraged to bring your dinner beforehand for a picnic and then listen to the local talent. In the bigger city, where my son lives, there's a Concert Park dedicated to this during the summer. You have to pay, but you get to hear professional musicians. Either way it's a lot of fun! Look in your local paper for possibilities. 6. Play Out -- Where my parents live they have "Shakespeare in the Park" one evening a week during August. We've gone there with our supper in a basket to enjoy the park, feed the ducks, have dinner together, and then try to figure out the Bard. Maybe there is something like that in your area. 7. Shout Out (or Take Me Out to the Ball Park) -- Our church has a softball league and they love to have fans. It's pretty easy to pack a simple dinner and go cheer the team on. They might even win with the extra encouragement! 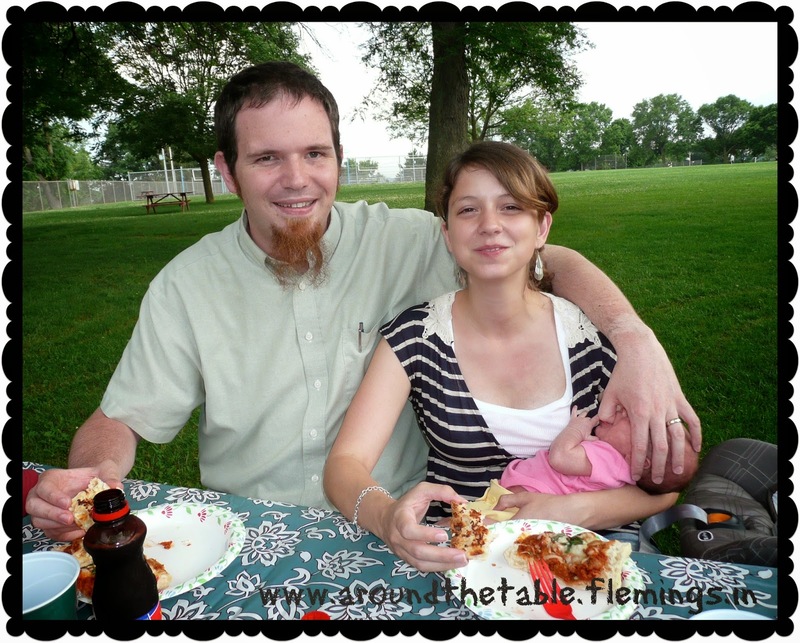 What can you do to make a summer evening meal extra special? Can you plan an "event" once a week for your family this summer? 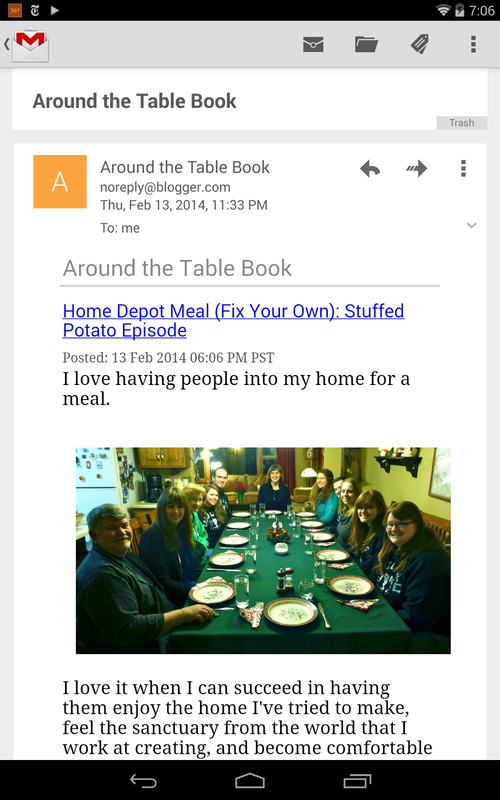 Check out the book Around the Table: Connecting With Your Family at Mealtimes. You can read the first chapter at this site and order a copy of the book. Great ideas! I'll have to see which of these we can take advantage of where we live.